Escape from work for a quick break at sea, with many options leaving soon. We’re a little over a month into 2017 and if you’re only a few weeks back into the work routine and dreaming of your next holiday – we can help. There are still a surprisingly large number of quick cruise breaks available if you already have the work blues and are looking for a short break to take advantage of the final days of summer sun. There is something for everybody and every budget amongst these short sampler voyages. Let’s take a look through these now. Queen Mary 2 – Adelaide to Melbourne – 16 February – Cabins from $749pp twin share. 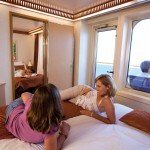 Sun Princess – Brisbane to Sydney – 05 March – Cabins from $279pp twin share. Pacific Eden – Melbourne to Adelaide – 15 March – Cabins from $199pp quad share. 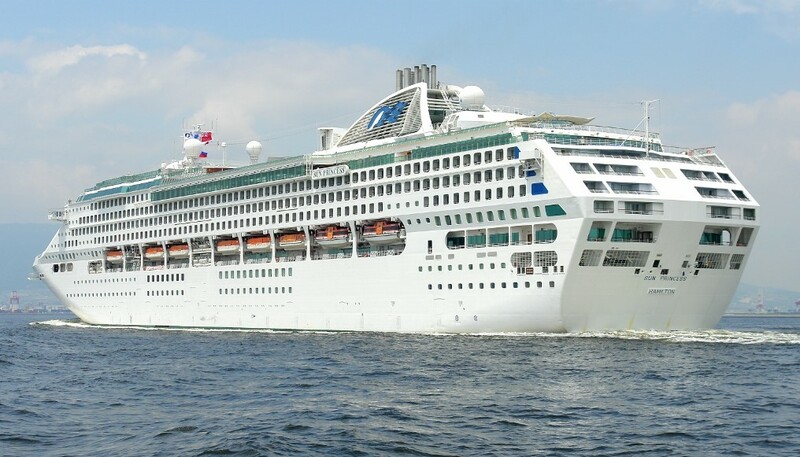 Dawn Princess – Sydney to Brisbane – 16 March – Cabins from $349pp twin share. Golden Princess – Melbourne to Sydney – 19 April – Cabins from $249pp twin share. The ultimate in short cruises – shorter than a weekend in fact – these two night voyages see guests embark generally in Brisbane, Sydney or sometimes Melbourne and sail one-way to the nearest of the other two cities. More a fleeting romance than a long-term commitment, these options are great for those eager to see what a cruise is all about, even if such limited time only allows a chance to see part of the vessel. Enjoy two nights of entertainment, food and fun before disembarking to discover another city or head straight home. These shorter voyages are usually exceptionally good value, with the flight home often costing more than the voyage itself. Princess Cruises is a leader in this area with many of its ships relocating throughout the year. A 5th of March sailing of Sun Princess sees guests embark in Brisbane before enjoying a day at sea before sailing into Sydney on day three. Prices start from $249 per person twin share. While Melbourne based guests can embark on Pacific Eden for a 2 night voyage from Melbourne to Adelaide, the March 15th sailing starts from $299 per person twin share – bargain to enjoy one of Australia’s newer ships. Princess’ Sun Princess offers a wide selection of two night one way voyages between Australian capital cities. Pacific Aria – Brisbane to Brisbane – 24 February – Cabins from $649pp quad share. Carnival Spirit – Sydney to Sydney – 24 February – Cabins from $336pp twin share. Pacific Jewel – Sydney to Eden return – 06 March – Cabins from $449pp quad share. Carnival Spirit – Sydney to Sydney – 09 March – Cabins from $416pp twin share. Explorer of the Seas – Sydney to Sydney – 16 March – Cabins from $758pp twin share. Pacific Jewel – Sydney to Sydney – 17 March – Cabins from $389pp quad share. Pacific Eden – Adelaide to Adelaide – 17 March – Cabins from $339pp quad share. Pacific Eden – Adelaide to Adelaide – 24 March – Cabins from $304pp quad share. Pacific Dawn – Brisbane to Brisbane – 25 March – Cabins from $349pp quad share. Pacific Jewel – Sydney to Sydney – 31 March – Cabins from $399pp quad share. Pacific Eden – Adelaide to Adelaide – 31 March – Cabins from $399pp twin share. Pacific Jewel – Sydney to Sydney – 07 April – Cabins from $449pp quad share. Pacific Dawn – Brisbane to Brisbane – 08 April – Cabins from $349pp quad share. Those of you who drained your annual leave over the summer break will be attracted to the wide selection of three night “Cruises to Nowhere”. Setting sail from all mainland eastern capital cities except Darwin, guests can be taken by long lazy days at sea as your ship gently cruises amid hopefully perfect weather. Whether you make the most of every meal opportunity or opt for a sleep in, with nowhere to be, these three-day weekend samplers often take on a theme such as comedy or food and wine. You’re not obliged to participate in the activities though, just be in the background if you prefer and enjoy numerous other activities offered on each ship. Offering the widest selection of home ports, it’s no surprise P&O offer more weekend sampler cruises than any other line. Those looking to enjoy a big ship environment can sail aboard Royal Caribbean’s Explorer of the Seas, one of the biggest ships ever. Even so close to departure date, there are a stack of perks and incentives in play to encourage you to book, including onboard spending money, cabin upgrades and more. 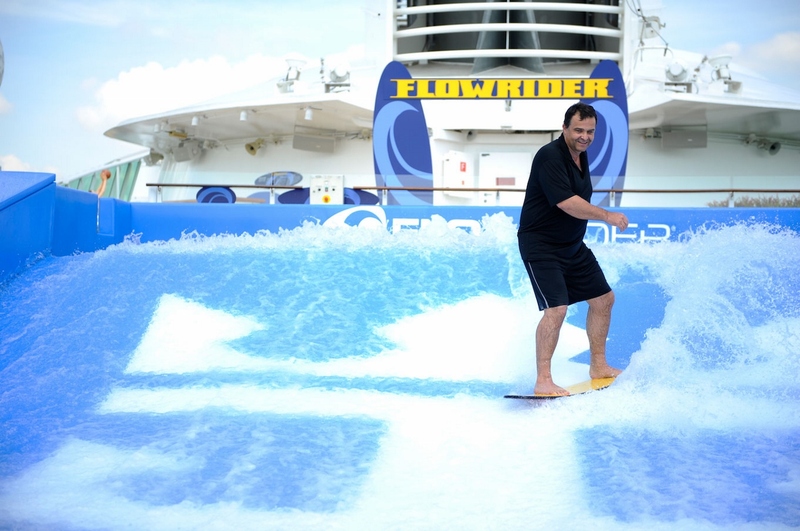 Guests sailing aboard Explorer of the Seas can take advantage of the ship’s Flowrider surfing simulator. Pacific Aria – Brisbane to Hamilton Island return – 27 February – From $679pp twin share. Pacific Jewel – Sydney to Moreton Island return – 27 February – From $549pp twin share. Pacific Jewel – Sydney to Moreton Island return – 09 March – From $499pp twin share. Pacific Jewel – Sydney to Moreton Island return – 13 March – From $349pp quad share. Pacific Eden – Adelaide to Port Lincoln return – 20 March – From $349pp quad share. Pacific Eden – Adelaide to Melbourne return – 27 March – From $349pp quad share. 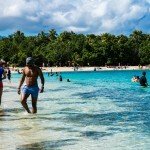 Pacific Dawn – Brisbane to Airlie Beach return – 28 March – From $399pp quad share. Pacific Jewel – Sydney to Moreton Island return – 03 April – From $499pp quad share. If you’re looking to pack as much as you can into a traditional long weekend and have the flexibility to be able to get away for it, a four-night cruise might be more your style. 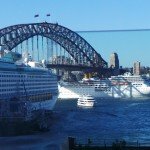 With sailings from Adelaide, Brisbane, Sydney, Melbourne and Fremantle, chances are there is a sailing close to you. These voyages often call upon regional ports such as the small New South Wales town of Eden or Queensland’s Moreton Island and highlight what a cruise in a compact format is all about. 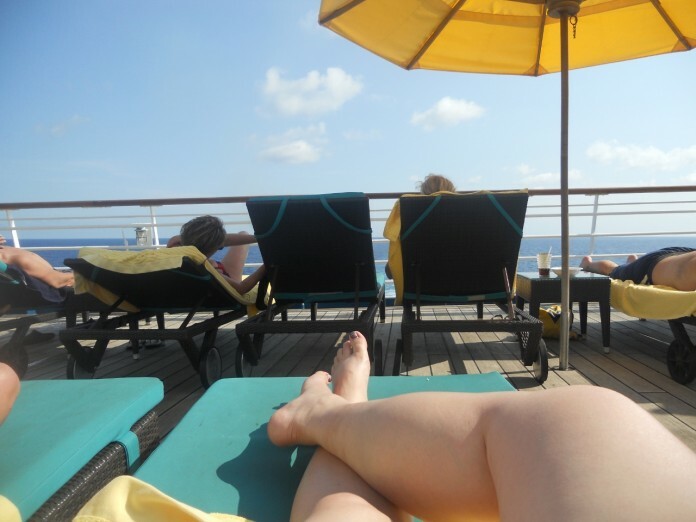 Guests can experience a day ashore in a place they may not typically go, while also enjoying shipboard life. P&O Cruises Australia are the pros when it comes to these four-night sailings, with a wide selection of four-night voyages venturing as far north as Airlie Beach & Hamilton Island in the next few months. Prices are comparable with a standard weekend away. 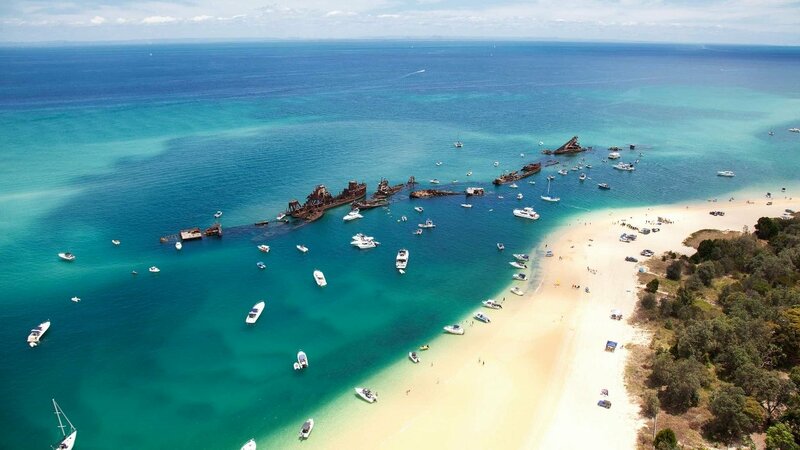 Moreton Island often plays host to four-night sailings across a variety of cruise lines. MS Astor – Perth to Adelaide one-way – 19 February – From $1,079pp twin share. Carnival Legend – Sydney to Hobart return – 23 February – From $693pp twin share. Carnival Legend – Sydney to Hobart return – 27 March – From $593pp twin share. For some, a short break needs to be at least five nights in order to be considered worthwhile and cruising has you covered in that respect as well. These slightly longer sampler cruisers offer the best of both worlds – long enough to enjoy all the amenities of your chosen ship while also affording a snapshot of a destination easily seen in one day. Unless you’re willing to fly to Asia, the pickings are a little slim for these five-night voyages. Examples out of Singapore include cruises to Penang, Phuket and Kuala Lumpur among many other exciting places. These itineraries are particularly popular among Western Australians and is a great way to have a beach escape without the price tag of holidaying in Australia. Closer to home, Carnival has scheduled a pair of cruises to Tasmania over the next few weeks onboard Carnival Legend, both visiting Port Arthur and Hobart. Guests can experience culinary highlights such as Australia’s only Mexican Cantina at sea and celebrity chef Guy Fieri’s famed burger bar Guy’s Burger Joint. 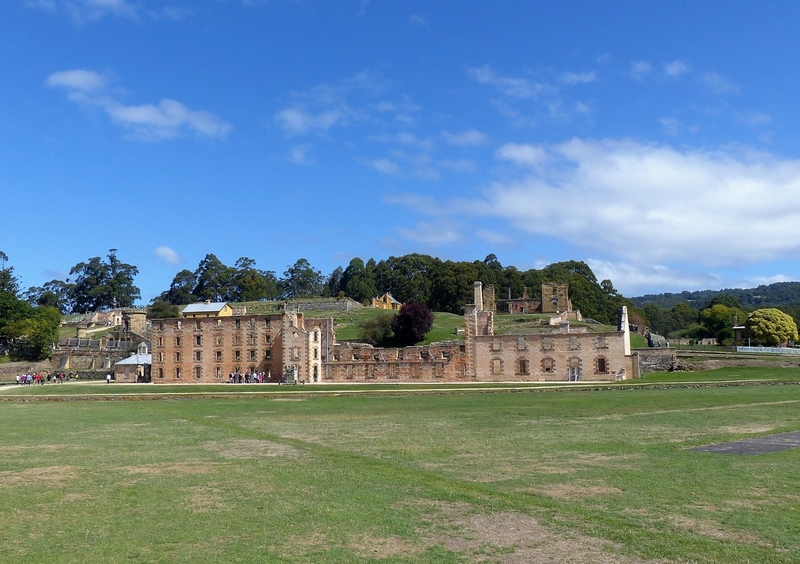 One of Australia’s earliest penal colonies, Port Arthur is a stop on Carnival’s 5-night Tassie Sampler itineraries. How do these sound? Are you on your way to the travel agent? Which is your favourite? *Prices correct at the time of publication. Contact your preferred travel retailer for more.